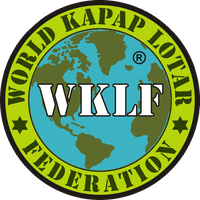 The Kapap Lotar is currently the most complete fighter discipline consists of a combination of several fighting styles such as boxing, thai boxing, judo, ju jitsu, bjj, kyusho, silat, krav maga; and British military training of knife and stick, Israeli operative shooting, military operational techniques, police operational techniques, CQB (Close Quarter Battle), counter-terrorism, tactics basic medicine to survival. It focuses mainly on unarmed combat against the weapons and also specifically in-depth study of the same. The Kapap Lotar adapts perfectly to any type of fighting that in his "acyclicity" and "situational" allows the fighter to overcome any kind of adversity and prepares him to almost all the situations and scenarios. The Kapap Lotar is neither a sport nor is there provided the players, not even a martial art. The Kapap Lotar is a comprehensive approach to understanding the defense. The Kapap warrior is a fighting machine fast, precise and deadly. The Kapap Lotar learning is simple and suitable for everyone: children, adolescents, adults, and copletezza of its programs is the preparation of choice for policemen, soldiers, security man and bodyguards. Each group must follow and master a specific program. Those who learn the Kapap Lotar not a fighter (competitive fighter) is literally a warrior (man of war). It 's prepared for all situations and against any kind of weapon. Know how to defend himself and the person next in all circumstances, will also recognize and use any type of firearm with skill out of the ordinary. The Kapap Lotar began to be disclosed outside of Israel in 1999, and carefully divided into very specific programs. This happened because now the traditional martial arts taught and teach exclusively the "way of competition," and the defense was only a substitute for kata. The Kapap Lotar has returned to light after the terrible and high security requirements, a real self defense. Kapap Lotar instructors in Israel today train the IDF (Israel Defense Forces), the Yamam and Shabak, practically the first departments.